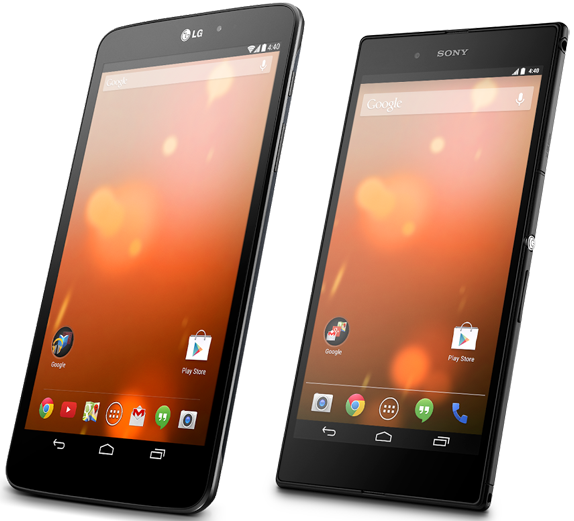 Sony Xperia Z Ultra and LG G Pad 8.9 tablet devices have joined the all new Google Play Edition platform and both new tablet devices are powered by Google's latest mobile operating system Android 4.4 Kitkat. If you're thinking to purchase any of the Google Play Edition Tablet devices than following Features and Specifications Comparison between Sony Xperia Z Ultra and LG G Pad 8.9 will surely help you. LG G Pad 8.9 and Sony Xperia Z Ultra both Google Play Edition tablet devices are comes with Stock Android package installation. The official price of LG G Pad 8.9 Google Play Edition tablet device is approx. $350 USD Dollars and the official price of Sony Xperia Z Ultra Google Play Edition tablet device is approx. $650 USD Dollars. Below you will find the full specification and feature details of Sony Xperia Z Ultra and LG G Pad 8.9 tablet device.